There Is No Cumin In Rubj Extrait. A Letter to Vero. 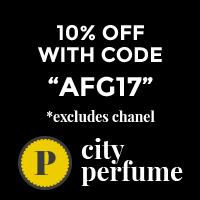 Saturday Question: What Are Some Indie/Artisan Perfumes You Love? I like Pierre Guillaume’s fragrances. He has a way with notes that is deft and sophisticated. He somehow even manages to make the ultra sweet feel plush, no mean feat. Considering that Intrigant Patchouli is a 2005 release I am surprised that before I bought this decant at Surrender To Chance that I’d not even heard about it. The patchoulis that have caught my nose and made me put down cash so far have been CHANEL Coromandel and DIOR Patchouli Imperial. Hey there dear APJ readers! How are you doing?